Connecting your favourite apps with Shoelace is 🔑 to improve the performance of your retargeting because these apps enrich your Journey and provide a unique way to engage with your visitors. They'll also differentiate your ads from your competition and make your retargeting unique. Now let's get to the details! Smile.io manages loyalty programs for e-commerce merchants. Shoelace's integration allows you to retarget customers by promoting your loyalty program. How Do These Integrations Work? After a visitor leaves your site without making a purchase, they will see a carousel of positive reviews for the products they were looking at, as well as other trending items from your store. This is key because from our research, we've found that 70% of customers consult reviews or ratings before making a final purchase. 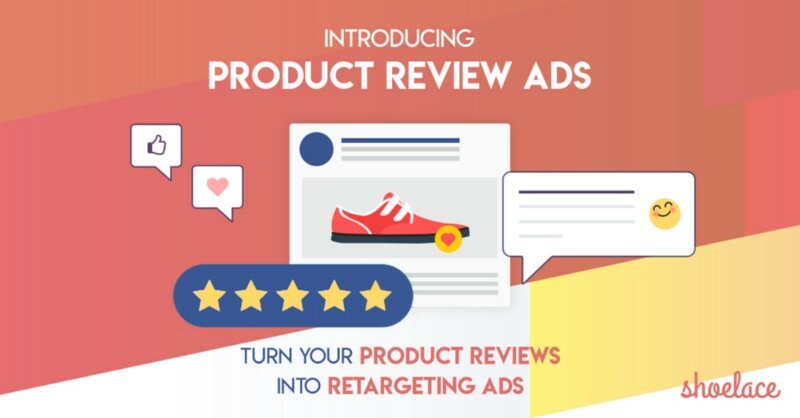 Learn more about the benefits of Product Review ads here. How Do This Integration Work? Right after your MailChimp email newsletter goes out, Shoelace instantly creates a retargeting campaign to turbo boost the email. We’ll create a 3-5 day ad campaign to retarget the recipients of the email, using the same images and messaging from the email they just received! As always, Shoelace does all the heavy lifting -- you just create and send your MailChimp campaign and we’ll take care of the rest! Of course, you’ll receive a preview you can check approve before the ads go live. Over X% of our Users have integrated Shoelace with Mailchimp. Foursixty brings the power of lifestyle images to dynamic ad retargeting on Instagram and Facebook. Shoelace pulls images from your Foursixty gallery, along with the associated products you’ve tagged in them. You then receive a preview of a ready-to-go dynamic lifestyle ad from Shoelace. Just hit Start Campaign to get things going! Then, the landing page a visitor clicks through to is the Foursixty “Shop the look” window featuring products from the Look they clicked on. Check out this article on how to set up Foursixty with Shoelace. 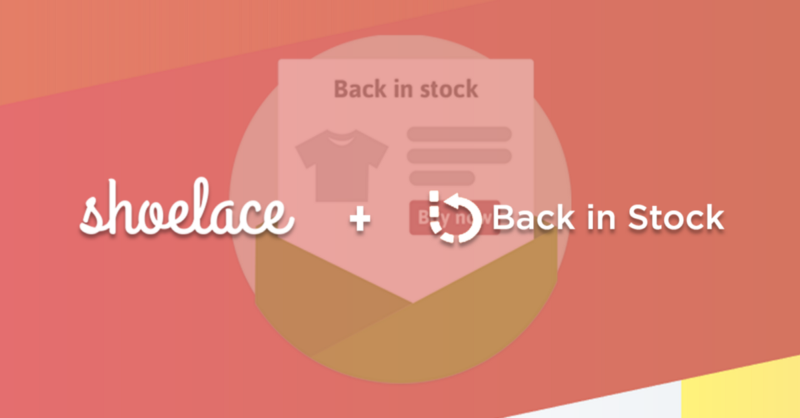 The Shoelace + Back in Stock integration helps you maximize sales from prospects who expressed interest in a product that was out of stock. First, Shoelace syncs-up with your Back in Stock alerts. Then as soon as an email goes out notifying subscribers of a restocked product, Shoelace auto-creates a retargeting campaign for those same prospects with an ad that features the product that you just restocked! To connect an app to Shoelace 👉 visit the Setting section of the Shoelace app and click "Connect" beside the app you would like to connect. Please note: you will need to be on Back in Stock's "Small Business Plan" or higher in order to integrate with Shoelace.